Hello Friends, In today's post I will tell you all about 5 best powerbanks that you must have if you have a smartphone. So if you are thinking of buying a power bank, then this post will prove to be very helpful for you. Because after this, you will be able to purchase a good and cheap Power Bank for yourself. Friends, Power Bank is like an external battery that lets you charge your smartphone without electricity. That is, when you are in a place where electricity is not available or you are traveling, then the power bank helps you. With its help, you can charge not only the phone but also the other electronic goods which are small and take less power. Like the USB fan, USB bulb, the charging gadget from the USB. It depends on the strength of your power bank, how often you can charge your phone from it. If your power bank is more capable then you can charge it more often and have less power and can charge less. At first number I placed this power bank because I use the Mi 20000mAH Li-Polymer Power Bank itself and it's pretty good. As the name suggests in its name is that it is a power bank of 20000mAH which is more capable. It supports Quick Charge 3.0 so you can quickly charge your phone. This allows you to charge Mi, Apple, Samsung or any other phone quite easily, and even some USB-C laptops can charge quite easily. Talking about its weight, it is 358 g and its dimension is 15 x 7 x 2.4 cm. You can charge your phone very easily with the help of a USB cable. With this, you also get a 6 month warranty on this Power Bank. If you are not able to buy the power bank above then it can be the best option for you, because it is the same company but its price is also low because of its cost. You can also charge Mi, Apple, Samsung or any other phone quite easily. You can also charge low power gadgets such as Bluetooth handsets and fitness equipment. Speaking of its weight, it is 240 g and its dimension is 7.1 x 1.4 x 14.7 cm. You can charge your phone very easily with the help of a USB cable. This is a good power bank like SICA company that you can buy. There is a 20000mAH polymer battery that is capable of charging your phone multiple times. Some of this short info is given below. Fourth, we have added Ambrane P-1310 13000mAH Power Bank, which can prove to be a good power bank for you in the low budget. Ambrane is a trusted company with a good power bank, so you have a good choice. The good thing is that you are given a full 1 year warranty on this. This allows you to charge Mi, Apple, Samsung or any other phone quite easily. Talking about its weight, it is 308 g and its dimension is 15 x 8.2 x 2.6 cm. You can charge your phone very easily with the help of a USB cable. A best power bank can call it by the Lenovo company. As it is in its name, it is a power bank of 13000mAH capacity and due to its low prices. If you have a low budget and looking for the best Power Bank, then this can be a good option for you. Speaking of its weight, it is 399g and its dimension is 14.1 x 6.4 x 2.2 cm. You can charge your phone very easily with the help of a USB cable. So this was the option of choosing some of the best power banks for you. From this, you can buy any power bank according to your needs and make your travel easier, because now you will not be worried about your phone discharge. If you feel that this post has helped you, please do not forget to share it on social media so that more people can take advantage of it. Thank you. Chinese smartphone maker comio has launched its second new smartphone comio x1 in India. Comio X1's design is just like the recently launched Redmi Note 5 and Oppo Reali 1. The phone has a full view HD Plus display with facial recognition. This phone will be available in Red Hot, Royal Black and Sunrise Gold Color variant. Apart from this, there is a 30-day replacement, 1 year and 100 days warranty. Also, exchanging phones of Como phones less than 12 months old will get 40% discount. Talking about the features of the phone, it has Dual SIM support, Android Orio and 5.5-inch HD display, which is 720x1440 pixels. The phone has a full view display with an aspect ratio of 18: 9. Comio X1 has QuadCore MediaTek MT6739 processor, 2 GB RAM and 16 GB storage which can be extended upto 128 GB. Talking about the phone's camera, it will have 13 megapixel rear camera and 8 megapixel front camera. Both will get the flash light with the camera. Features such as Portrait, Bokeh, Smile Gesture, Face Cut, and Face Edge with Camera. Facial Recognition will also be found. For connectivity, the phone will get 4G VoLTE, Wi-Fi, Bluetooth 4.0, FM radio, 3.5mm headphone jack, USB and fingerprint sensor. The weight of the phone is 127 grams. The phone is priced at Rs 7,499 and will be sold from all the major online stores. A callback of Rs 2,200 will be received by Geo on the phone and additional data will be available from Idea. Xiaomi Mi Max 3 Beats oppo R15, iPhone X & vivo X21 In Battery Endurance Test. On July 19th, Chinese manufacturer, Xiaomi released its largest phablet, Xiaomi Mi Max 3 which comes with a 6.9-inch display and its powered by a Snapdragon 636 chip. Xiaomi emphasized on the display of this phablet noting that it provides more content area due to its “full-screen” design. However, the display is not the only attractive selling point of this device. It also comes with a huge 5500 mAh battery which is not common amongst “first-class” manufacturers. This battery bolsters 18W quick charge which the organization cases can give 71% of every hour and it likewise accompanies switch charging which implies that it can act like a power bank for littler gadgets. A couple of days prior, Xiaomi discharged a video on Weibo which analyzes the battery execution of the Xiaomi Mi Max 3 with vivo X21, iPhone X, and oppo R15. 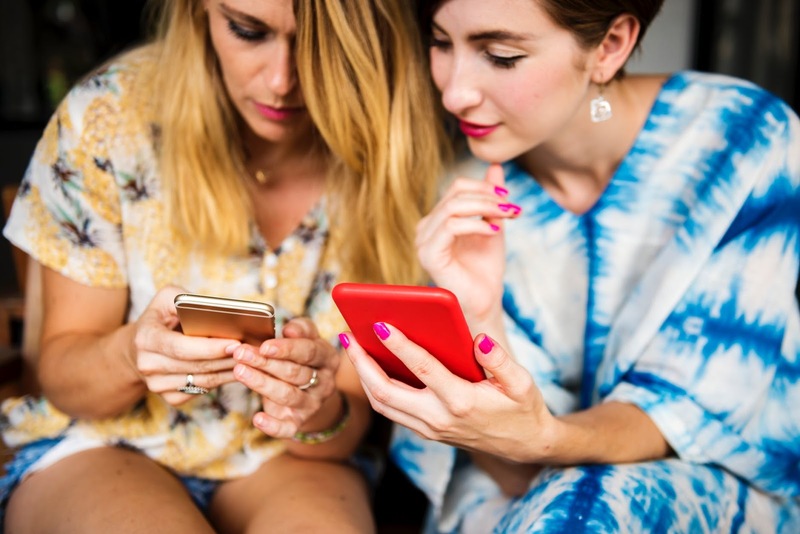 All gadgets were completely charged and subjected to one-hour online video playback, one-hour online music playback, one-hour video shooting, WeChat video calling and two hours gaming. 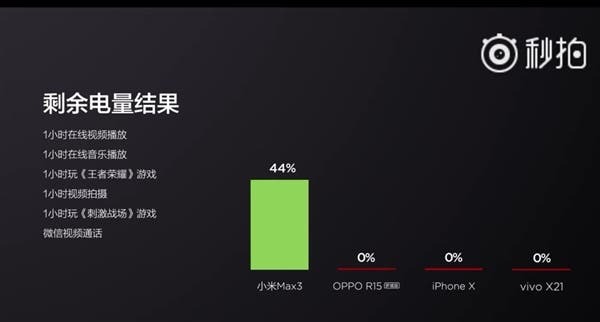 The test results show that when the vivo X21, iPhone X, and oppo R15 were fully exhausted, the Xiaomi Max 3 still has 44% power remaining. 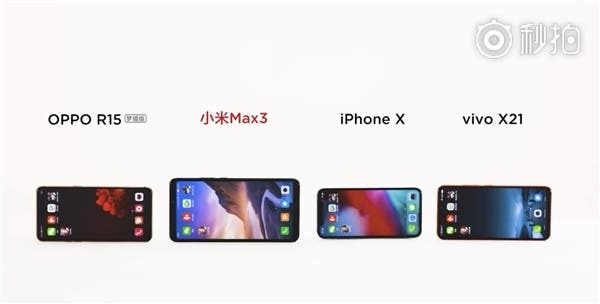 The battery mAh of these smartphones are nowhere near that of Xiaomi Mi Max 3. While iPhone X comes with a 2716mAh battery, vivo X21 and oppo R15 sports a 3200mAh and 3450mAh battery respectively. Nevertheless, battery performance is much more than the mAh of the battery.